Just a few days after the trailer reveal, this video showed up going further into what makes Guitar Hero Live new. It's a long one, so if you're not able to sit through 34 minutes of video, Destructoid has you covered. The presentation opens with Activision CEO Eric Hirshberg discussing the history of the franchise. He then goes on to the inspiration behind Guitar Hero Live, citing a desire to make it feel more real than ever before. "Could a Guitar Hero game actually give you stage fright?" He uses the word "visceral." Jamie Jackson, Creative Director and Co-Head of FreeStyle Games came out to talk about mechanics. In the move from one row of five buttons to two rows of three buttons, the gameplay is "easier to play for beginners. Harder to master for veterans." 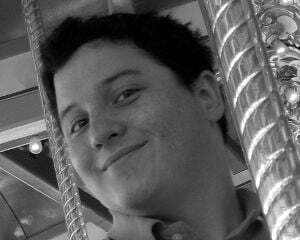 Jackson talks a bit about positional sound design. Since Guitar Hero Live is played from a first-person perspective moving around a stage, certain sounds will be quieter or louder depending on position. When the player moves downstage, the crowd noise is more prevalent. When the player moves upstage, the drums kick in more loudly. 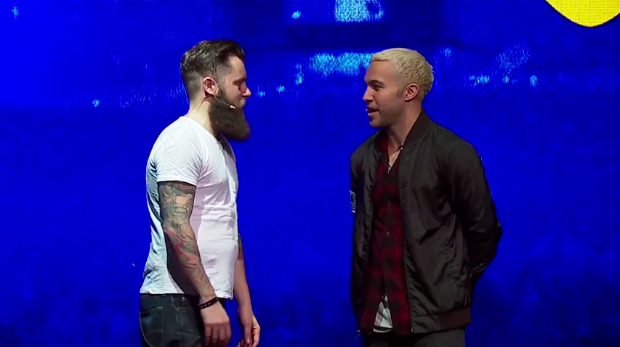 At 18:20, Pete Wentz of Fall Out Boy takes the stage to demonstrate the song "My Songs Know What you did in the Dark." At 28:39, Gerard Way of My Chemical Romance joins Jackson to show a versus duel in the song "Na Na Na." The two play in Advanced mode, and I have a good bit of trouble miming along with my fingers. Some parts look pretty tough. More detail is given about the other half of Guitar Hero Live, dubbed GHTV. It consists of a list of channels, each playing a set playlist that will change over time. It doesn't sound like skipping songs a la Pandora is an option; it's more like tuning into 1990s MTV, but with a playable guitar portion. Hirshberg notes that if you don't like a song, you can switch channels. Guitar Hero Live is planned to release on PlayStation 3, PlayStation 4, Wii U, Xbox 360, Xbox One, and unspecified mobile platforms (but we're guessing Android and iOS). Playing on mobile can be done at home or on-the-go, but no footage of how it works on mobile is shown. In all, I'm more excited for Guitar Hero Live than I ever thought I could be for a Guitar Hero game since Rock Band showed up. By branching off in this direction, it feels like there can be room for both. Jackson does mention GHTV as a party game, where "one person is playing, somebody else or everybody else can be looking at the music video." I'm not too sure on that, especially in comparison with a party game in which others are playing. 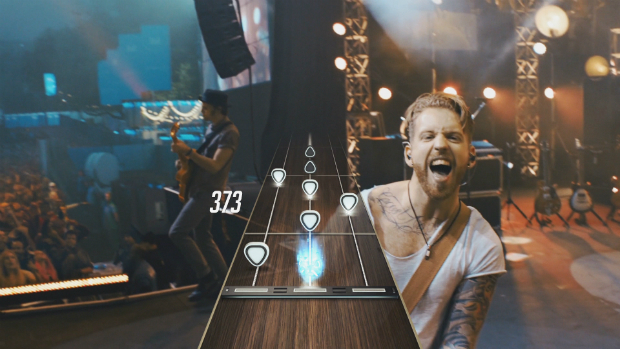 If Guitar Hero Live can focus on what makes it unique, it might still come out on top.